Access to the benefits of Genelec’s DSP and SE™ DSP monitoring systems is made easier than ever with the AD9200A Analog to Digital converter. The Genelec AD9200A allows using the 7200 Series DSP subwoofers with analog signal sources, bringing the full potential of Genelec’s DSP monitoring systems to all applications. The Genelec AD9200A converter outputs AES3 format with 24 bit word length and 192 kHz sample rate, providing the same consistent high quality found on our 8200 DSP products. Eight-channel balanced analog input is delivered via a 25-pin DB25 connector wired to the Tascam/ProTools industry standard pinout. Digital output consists of four XLR connections, each carrying two channels of AES/EBU audio. 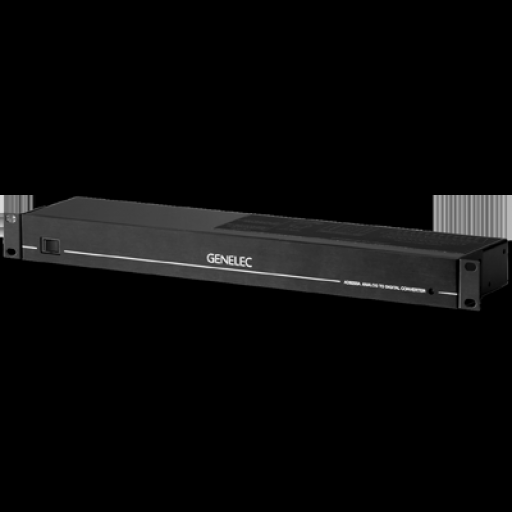 The 19"/1U high chassis is delivered with a separate 12V power supply.